Your worst nightmare has come true. No one is using the app your team spent months building. You’ve allocated precious time and resources tackling mobile, and now you’re starting to wonder if you’re ever going to see any return on your investment. Senior leadership is breathing down your neck and things are looking bleak as downloads and engagement continue to slow. 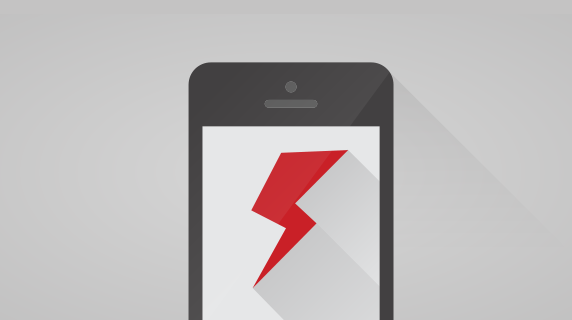 Is it time to pull the plug and scrap your mobile strategy? Just checking the “we have an app” box is not enough anymore. You need to make sure you have a clear understanding of what your users want and build experiences that deliver that in a simple and usable format. Today’s users are spoiled by polished consumer apps and have high standards for quality and experience, so they are often quick to dismiss apps that aren’t up to snuff. Your app needs to address a specific issue that makes your users’ lives easier — and do it in a user-friendly way — in order to win their attention and drive engagement. So first, take a step back. What was the original purpose of your app? Did you achieve that? For example, let’s say you set out to build an expense management app to make it easier for your employees to submit their costs for reimbursement. If people aren’t using it, you can bet it’s not because they’d rather submit their receipts by scanning and emailing them. Check to see whether it’s truly easier to capture and submit an expense with your mobile app than the manual process. Focusing on an MVP (Minimum Viable Product) should be the first step of any development project. Instead of worrying about building in all of the bells and whistles that users may or may not need, first iterations should be lean, easy-to-use and functional. Low adoption on your first release does not mean that your app is destined for failure, but it should be a signal that the product you built is not meeting the needs of your user, and you should make sure you’re clear on what those needs are. Once your MVP is in users’ hands, the next challenge is to collect and analyze feedback on it. There was a time when direct feedback from users in the form of surveys, focus groups or off-the-cuff conversations was the only solution for collecting insights. But today, there are many tools available that can shine a light on how your users are interacting with apps and where things are going off the rails. This way you can spot potential issues long before you have an opportunity to hear it from the users themselves. In our example of an expense management app, real-time analytics can identify exactly where in the receipt upload process users are closing the application. If several users are dropping off when it comes time to enter the dates and amounts of the expense, you might look into using a text recognition API to handle that part for them. Understanding the exact pain point allows your developers and designers to address problems quickly and effectively, without waiting days or weeks for direct feedback from users. Wondering what exactly you should be measuring? Check out this post by our CEO Jeff Haynie on the five mobile app metrics you should be tracking closely. Remember that being able to turn the data you’re collecting into actionable insights is the only way to improve your app and increase adoption and engagement over time. Developing an app isn’t a “one and done” kind of project. The best mobile products, whether consumer or enterprise, are the ones that are constantly updated. They’re built by teams who recognize that the world “perfect” is better used as a verb than an adjective. As in build, test, perfect. Jeffrey Hammond pointed out, when we chatted with him earlier this year, that development teams should strive to release six to ten updates per app each year, both adding features and addressing issues to improve user experience. It’s the only way to stay competitive. Moreover, your API strategy should be a living, growing doctrine that changes as the needs of your users change. Is there an opportunity to incorporate different data sources to make your app more useful? Can you solve a major pain point by integrating a third-party API? For example, with the hypothetical expense management app, you could look at pre-loading a list of common vendors so that employees don’t have to enter this information manually. Teams that are constantly iterating and improving their apps based on feedback and incorporating new data sources strategically will be rewarded with higher engagement levels and satisfied users. Remember: mobile is here to stay, so you should be in it for the long haul. It’s important not to sprint too hard out of the gate, as we are only in the early stages now of what is sure to be a long race. Companies who focus on listening to their users and adapting to change will be well-positioned to build apps that users love. Don’t give up on mobile if your first effort didn’t go as planned. Keep calm and develop on.